This is part of an ongoing series of posts where I will explain what to expect when attending a live concert. 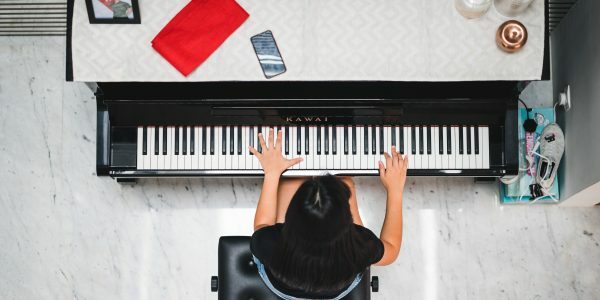 Music is best experienced firsthand, and depending on the genre, what’s expected for the concert-goer can be quite varied. Here are my thoughts on attending an Jazz Concert in Vancouver. What is a jazz concert? 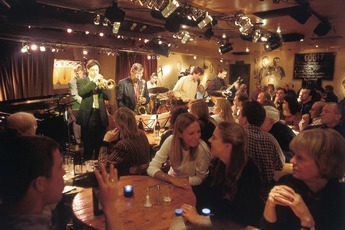 The atmosphere of a jazz concert is usually more relaxed and informal than a classical concert (such as an opera). Seating is generally not assigned and quiet conversation is usually allowed. Sometimes, the performer may even invite the audience to dance to the music. Some musicians take song requests. However, you will never see a mosh pit or diving at jazz concerts. Jazz music typically feature 3 main parts: the percussion (drums, piano, and bass), guitar, and horns. The job of the percussion instruments is to provide the rhythm: the drummer keeps a steady beat; the pianist “comps” (accompanies with chords) or solos, and the bassist plays the root of the chords and keeps the pulse. The guitar can comp as well as solo and play the melody. The horns (trumpets, trombones, saxophones, even flutes, violins, and the human voice) generally play the melody and solo. Jazz music is performed in many different settings and venues. They range from small bars/lounges to theatres that seat hundreds. Generally, jazz music is performed in small, intimate and informal settings. Sometimes jazz is performed outdoors, especially during outdoor festivals. 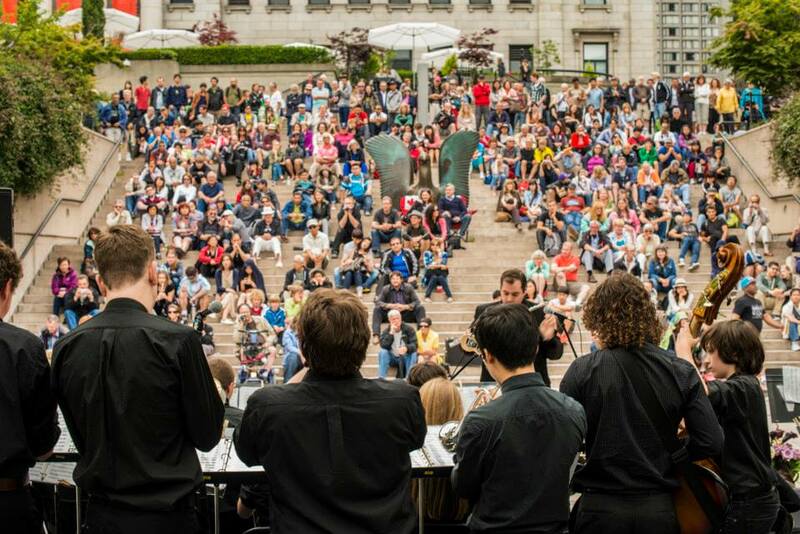 Vancouver hosts a jazz festival every year, usually in June and July. What does jazz music sound like? Jazz as a musical genre is relatively new. Born in the beginning of the 20th century in New Orleans, mostly from slave songs and spirituals. Characteristics of jazz typically include “call and response”, chords with 7ths, syncopation and swing, the blues scale, modes, improvisation, harmonic progressions of II V I, and 12 bar blues. As jazz evolved over the years, many distinct styles emerged: Big band swing, New Orleans, be bop, West Coast jazz, Latin jazz, smooth jazz, jazz fusion, and many more! In fact, jazz is continuously moving and changing – years from now there may very well be new forms we don’t have now! Because jazz is a mix of many sounds and styles and rhythms, there is no one definition for jazz. The best way to define it would be to listen to some! Where can I see an jazz concert? There are many restaurants/lounges in Vancouver that feature regular live jazz/blues performances. Check out their websites or go down to listen to jazz and look at the brochures or posters around the area. Larger venues such as the Queen Elizabeth Theatre, The Roundhouse, The Orpheum, The Chan Centre, and others are generally reserved for popular touring artists. Check ticketmaster.ca for upcoming concerts. What is the average age of a concert-goer? In the 1980’s, young people were enthusiastic about jazz – the average age was 29. By 2008, the average age had gone up to 45! These stats imply that jazz appealed to an audience that has merely grown older, but not attracted new followers. However, after attending a week-long jazz workshop at the VSO, it is clear that many young people just need to be educated about jazz, and that it continues to appeal to old and young audiences. What is the average cost of going on a jazz concert? Jazz performances at restaurants/lounges may be free to enter (but you are expected to make drink or food purchases), or by suggested donation, or there may be cover charge. Jazz musicians may be paid for the gig, or may be performing for free. Either way, tips for commendable performances are always welcome and appreciated. Jazz performances at concert halls (such as the Chan Centre or the Orpheum or Ironworks Studios or The Roundhouse Theatre) may range from $20.00 to $200.00 depending on the artist. What to wear to an jazz concert? If jazz is being performed in an informal setting, casual to business casual are both acceptable. If performed at a more formal, sit-down event, expect to wear semi-formal to formal wear. Jazz musicians tend to dress for comfort, and men can often be seen performing in jeans and a blazer over a t-shirt. Jazz music usually feature solo improvisers. The purpose of the solo is to elevate the music and allow a platform for the artist to demonstrate their technical skills or express their personal feelings into the music apart from the group. This means that each time the group performs, it sounds different. The soloist (except for drums) is usually complimented by quiet background accompaniment. It is considered polite to clap (briefly) after the extended solo, and of course, after the song, and again after the set. Form: the structure of the music. Popular forms are AABA, ABAC, 12 bar blues, 16 bar form. The B section is also known as the Bridge. Head: the chorus or melody of the song. This is the composed part, and usually the soloist improvises on the chord structure of the head. “Head in” means to play the melody (before the solos), and “Head Out” means to play the melody after the solos. Trading 2s, 4s, or 8s: 2, 4 or 8 measure solo by the drummer alternating with another soloist. This usually lasts for a few choruses. Turnaround: the end of a section of a song signaled by a particular sequence of chords, commonly, I VI II V. The turnaround can be used to return the music back to the beginning, or segue to another section.